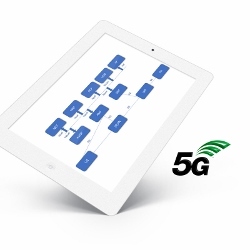 Today, I’d like to touch upon the complexity that 5G brings and show some examples of this. This post is a result of discussions that took place during the workshop, I had a pleasure to chair, at 5G World this year in London (there is a bigger coverage of this topic in a separate post on our blog). Please see this one with a wink of an eye (and some smile on your face :)). Note – those are just examples selected by me without any particular reason, beyond having to backup the point I’d like to make. Note 2 – After some thinking, I decided to make a series out of the “LTE and 5G Differences” topic. The first post, discussing how LTE and 5G functions are split between the corresponding RAN and CN can be found here: Functions decomposition differences. 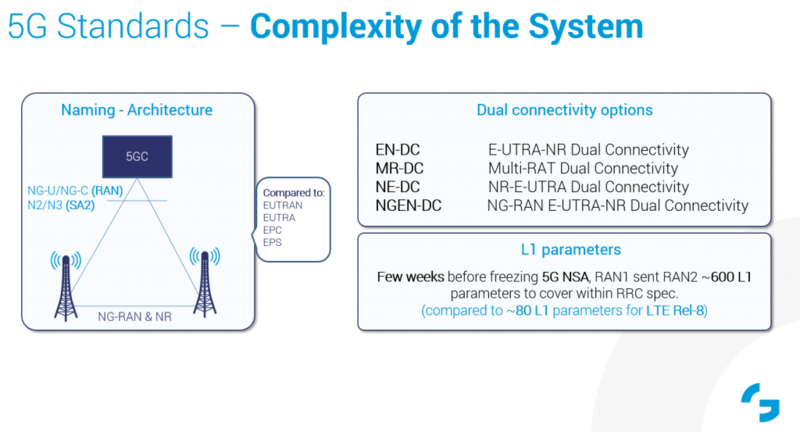 The figure below gathers some of the discussion points for the complexity of the 5G system as compared to the respective aspects within LTE (which BTW will also be submitted to ITU-R as a candidate RIT – Radio Interface Technology, for IMT-2020, being the official 5G system). Now, what I’d like to show here is that certain aspects may provide some misunderstandings as a result of bringing to life a next generation mobile system, which is supposed to cover much broader scope than the previous systems that were focusing on a single target (e.g. 2G – Voice, 4G – mobile broadband), which makes it a lot complex. I don’t want to bring here the “big three” triangle from ITU, which is shown everywhere, but the point is – this generation is supposed to capture more use cases with (sometimes) contradicting requirements, while the timeline is the same as for previous ones, which is actually the first difference between LTE and 5G. Let’s take the first box (to the left) in the picture above: Naming in the architecture. Well, let’s be honest, in LTE we had a plain simple approach to this – just add “evolved” to everything as LTE was supposed to be “a Long Term Evolution” of UMTS. So, we have Evolved UTRA (evolved air interface from UMTS), Evolved UTRAN (evolved RAN), Evolved Packet Core (evolved CN), and gathering all of those together, Evolved Packet System. Simple, isn’t it? And of course, don’t forget about the evolved NodeB (eNB) in the evolved RAN. Let’s now face the truth in the 5G world. Here on the air interface we have NR (new radio), while the new RAN is not “New RAN”, it’s NG-RAN (next-generation RAN). So this is not a big, but still a difference. But, what’s happening next is even more “inconsistent”. We don’t have New Core or not even next generation core, but 5GC (5G Core Network). And the whole thing is known as 5GS (5G System). Now, those are different parts of the system, so we could find some reasoning for this, e.g. 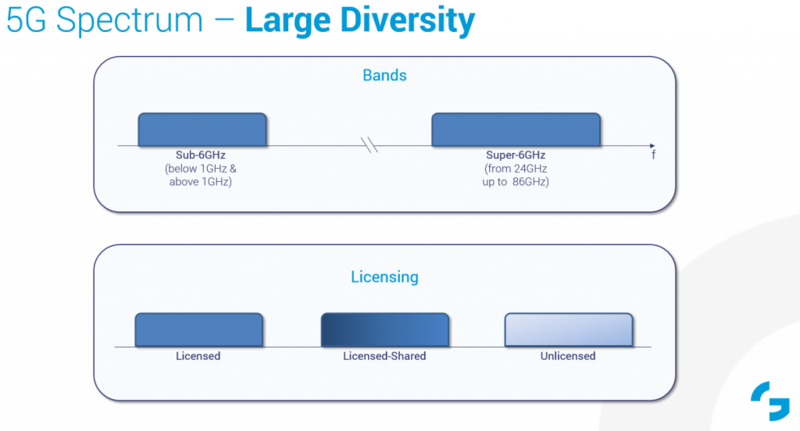 that 5GS is a bigger concept, while 5GC could bring different systems together, and NG-RAN is not only 5G NR, because it also will cover evolved LTE versions. But, this also propagates a bit deeper in the design – the interface between RAN and Core in 5G is called NG (with NG-U and NG-C version) by 3GPP RAN standardization groups, and in the SA (system architecture) group the same thing is called N2 and N3 reference points. Do you think this could be a potential point for missunderstandings? The second point I want to make here is about the dual connectivity feature – see the figure above on the upper right box. In LTE we have a pretty good name for this – Dual Connectivity – a UE connected to the network via two links, where one is master base station (providing signalling and anchor point for connected mode mobility) and the other is secondary BS (acting as capacity booster, typically small cell). 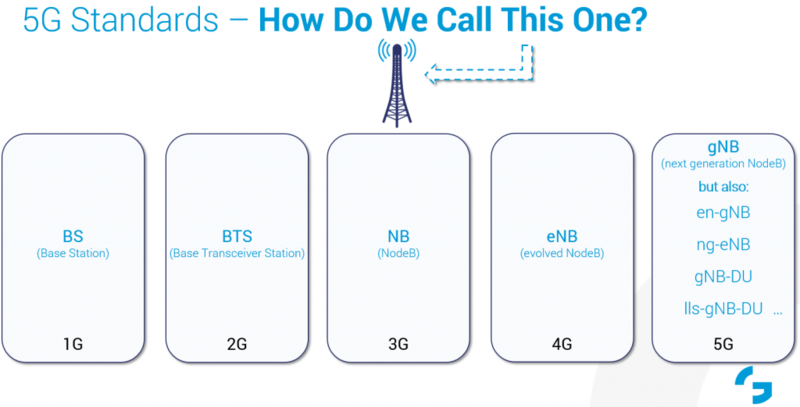 In 5G on the contrary, we have those different names for the same feature, depending on what the master and secondary BS is capable of and to what core network it is connected – i.e., do we have LTE eNB with NR gNB connected to EPC or 5GC. While in fact this is the same feature, but depends on the actual architecture configuration – and this is the good reason for this, but I personally think that this will lead to some confusion when speaking on those aspects (well, this is architecture option 3, so this should be…… eeeeeeeeeeeem… EN-DC or maybe MR-DC?). PHY layer parameters is something that shows the complexity of the system in general – and the third box on the figure above presents the “rough” comparison, where first version of LTE (Rel-8) comparing to the first version of NR (NSA, pre-freezed-Rel-15) had about 8x less parameters to be controlled by RRC protocol. This only tells me that (at least initially), most of those will be used with default values. To be clear, I’m not saying that they are not important – this is most likely the result of the wide scope that 5G is supposed to cover, but it shows the nature of the complexity resulted from the “flexibility” that 5G should bring. in 4G as already mentioned in the beginning of our discussion, was an “evolution” of 3G, so an “evolved” NodeB would fit here – wouldn’t it? So eNB works just fine. and finally in 5G we have next generation NodeB, but the short name is gNB. But is this the whole truth? Not really, we also have en-gNB (version of NR gNB working under the EN-DC feature within architecture option 3, where the master is LTE eNB connected to EPC), and ng-eNB (version of LTE eNB capable of being connected to 5GC). But, when we speak about split options of the gNB to CU and DU (centralized deployment of gNB), we also have gNB-DU (and for now, Rel-15, it is the upper layer split, when the DU captures RLC and below protocols), while for the future also the, so called, “lower layer split” is discussed, bringing the DU version with “lls” prefix, and getting the whole name of “lls-gNB-DU” (of course having the upper counterpart of lls-gNB-CU). Just for fun, I’ve tried to figure out the longest name we could potentially have within e.g., Rel-18, efe-lls-gNB-DU (even-further-enhanced lower-layer-split next-generation-NodeB distributed-unit) (instead of just BS :)). Getting now to a bit more serious matter – spectrum. I tried to capture the diversity of issues within a single simple picture shown below, divided it onto two main topics: bands and licensing options. Speaking of bands – we have the really low frequencies – below 1GHz, and the medium ones 1-6GHz (similiar to LTE, if we consider LAA at 5.8GHz); but in the same time NR captures the, so called, “mmWave” bands (which in fact not all of them, are as mmWave starts at 30GHz, thus I prefer to call them Super6GHz), where the propagation is very different (low penetration, high reflection, additional absorption), thus the system shall be designed in a “slightly” different manner. In LTE we had a “pretty simple” situation – with “just” sub-6GHz frequencies, which behave “similiar” between themselves. Speaking on licensing – 5G should in a native manner bring the licensed spectrum (known as “the method” for licensing for legacy mobile systems), with shared (in which we have some examples in LTE with LSA and CBRS) and unlicensed “free” spectrum (in which we have also some examples in LTE with LWA and LAA) together in a single spectrum management framework. There are certain things that make the 5G system more complex than the previous one(s) – and here I specifically mean LTE. There are certain reasons for this – bigger scope for the use cases that should be covered by 5G, the new technologies to be brought under the umbrella of 5G, and the fact that when we compare to LTE, we need to be honest – we compare (at least here) to the baseline LTE from Rel-8. In the same time, we should not forget the “lots of addons” that LTE has brought since 2008, when it was originally “frozen” including: NB-IoT, eMTC, LAA, LWA, DC, V2X, D2D, CA, FD-MIMO, LSA, CBRS, short TTI, …, while 5G (NR/5GS/NG-RAN, or whatever we call it), is expected to bring those in a native manner with “forward compatibility” and flexibility as the design principle – which makes this system really complex, and it will take time until it gets matured to release it’s full potential. 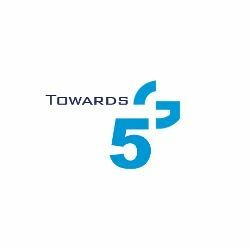 The full presentation from 5G World can be downloaded here. Energy efficiency for 5G networks – how to make it? 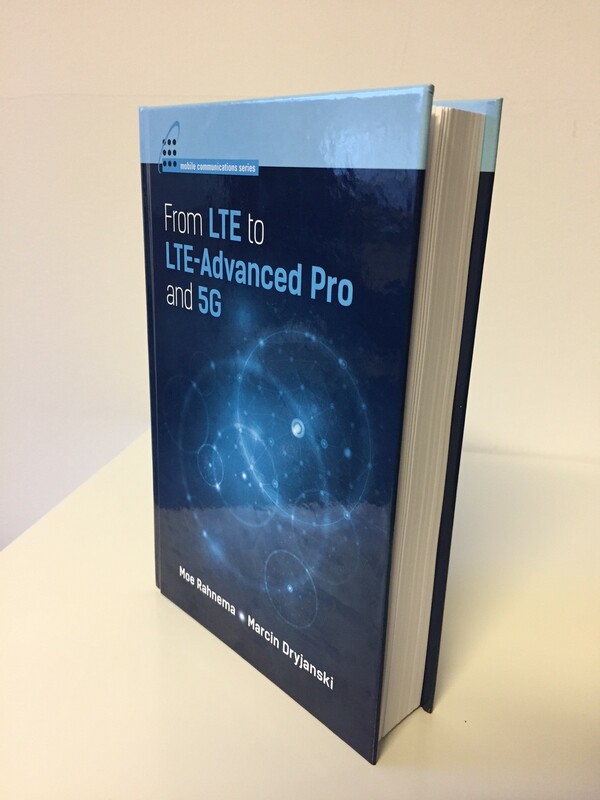 What are the practical aspects of LTE, LTE-Advanced Pro and 5G? – A new book. 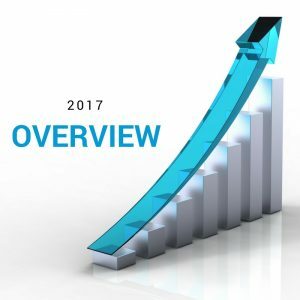 5 Most popular posts from 2017!